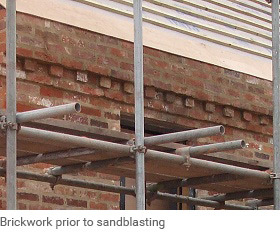 Our expert mobile sandblasting services extends to brickwork sandblasting of brick and stone buildings. 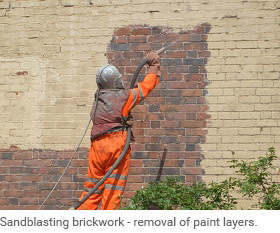 Sandblasting brickwork is an ideal way of removing old paint coatings. 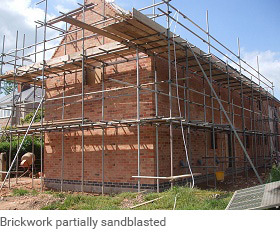 It is also ideal for cleaning up new-builds constructed with reclaimed bricks. Older buildings that have had a newer extension added can be sandblasted to enable the old areas to blend in with the new part of the building. 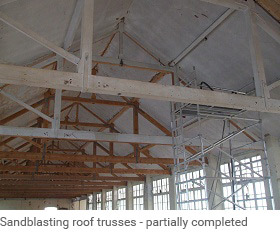 Removing limewash from the internal walls of old factories is another area we frequently get involved in, as well as removing paint from cellar walls prior to tanking. 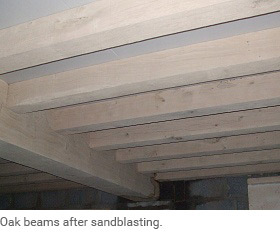 Our expert sandblasting company covers the blast cleaning of timber beams both internally and externally. 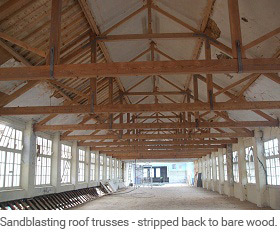 As a general rule, we would use a fine light coloured abrasive for blasting softwood or oak beams at low pressure. For green oak, we would use a higher pressure – necessary for the removal of saw marks and blue staining caused by cutting. Our expertise extends to the sandblasting of a wide range of stone buildings, walls and structures. 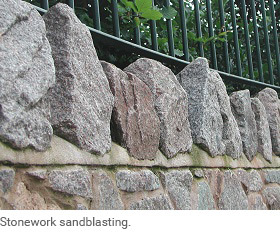 Sandblasting of stonework is a very successful way to remove old paint coatings, as well as a multitude of other contaminants including cement, moss, algae, etc. 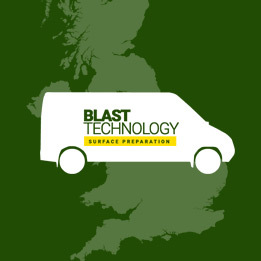 We understand how different stone surfaces stand up to the blasting process and so are able to advise on the most suitable sandblasting procedure for a particular application. 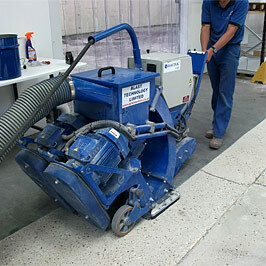 We are also able to shot blast concrete surfaces whether vertical or horizontal, internal or external. Please get in contact with us to discuss our captive shot blasting, open blasting or sandblasting services.